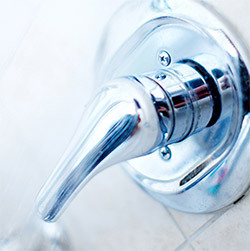 The incessant drip of a leaky faucet is more than just annoying; it is a plumbing problem that requires prompt attention. While something as simple as a dripping faucet may not seem like a major concern, it does waste a lot more water than you probably realize, and it could to lead to bigger problems. If you have a leaky faucet, a faucet that doesn’t turn on or off properly, a faucet that doesn’t regulate water temperature properly or any other type of faucet problem, it is important to seek assistance from a licensed plumber right away. At GT Campbell Plumbing, we offer a full range of faucet plumbing services in Rochester and throughout all of Monroe County. 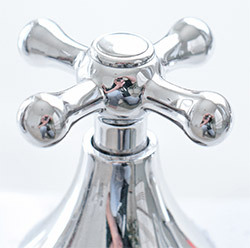 You probably don’t think about your faucets much unless they aren’t working properly, but they are some of the most important fixtures in your home. That’s why you shouldn’t trust them to just anyone. At GT Campbell Plumbing, our professional plumbers provide all types of faucet plumbing services, including installation, repair, replacement and maintenance. Whether you are having a new faucet installed or you want to have your existing faucet repaired, leaving the job to the professionals ensures that it will be done properly and your faucet will last for years to come. We use only the best quality parts and fixtures to ensure trouble-free functioning, and we offer a 100% satisfaction guarantee on all of our services. If you are in need of faucet plumbing services in Rochester and the surrounding areas, call your trusted plumber in Rochester NY.